Following accusations that Apple has misled new iPad customers by touting its 4G LTE capabilities, which don't work on Australian carrier frequencies, Cupertino has offered to refund the complainants. The olive branch has been extended by Apple's lawyers, who will set up disclaimers in the stores, including third party ones, and begin sending emails to customers offering a refund to those who think they were affected to purchase by the letters 4G and the promise for LTE connectivity. 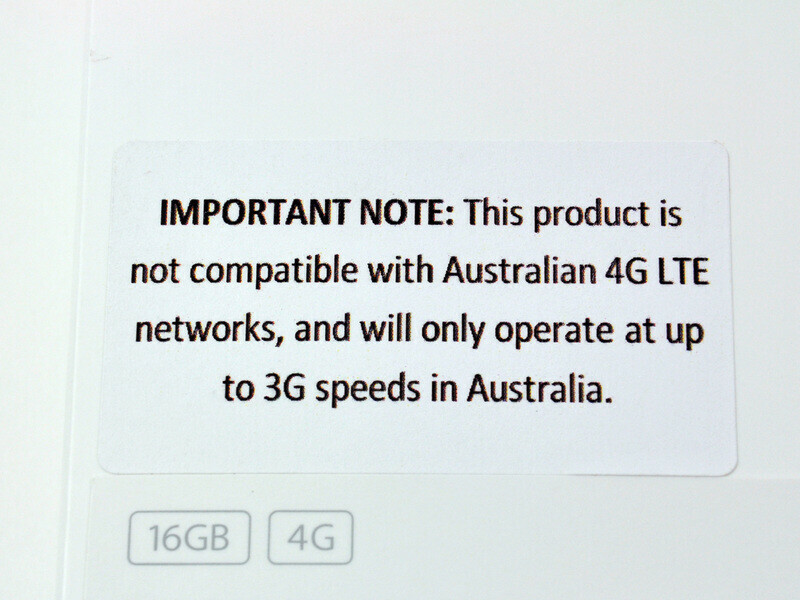 Ultimately at trial, it will be contested by Apple there are in Australia networks that according to international definitions are 4G, are properly described as 4G. Can you mislead a consumer with a statement that is technically accurate? The case to remove the "Wi-Fi + 4G" signage altogether will return to court in early May. 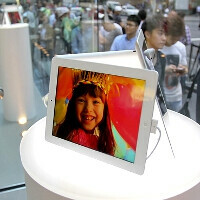 Due to their time zone, Australians were one of the first doing publicity camping for the new iPad, and the sales estimates so far are about half a million tablets sold. As far as we remember from the iFixit disassembly, which was done with one of the first Australian units out of the retail doors, there was a rather visible sticker, which you can see on the right, that the thing won't work with Australian LTE frequencies. Thus users can't really say they haven't been warned upon purchase, but the battle is apparently over advertising it as 4G, so we'll see how things pan out. Hot iPad, Strange Logo, misleading marketing, hot macbook air, strange iPad name. Is a sign that Apple is going downhill. Moreover new competition is coming this october with Windows 8 and Windows Phone 8. You forgot iPhone 4S battery woes iPhone 4 antennagate iPhone 4 back cover glass shattering iPhone 3GS overheating iPhone 3G iOS 4.0 unusability Macbook Battery hack etc etc etc People tend to forget all that. They shouldn't. Putting '4g'on the 4th generation iphone worked before for apple sales wise despite how massively misleading it was so they tried their tactics here again,guess some Australian ifans were more aware! But if this was used as a precedent then couldn't apple be tackled for many statements to customer which aren't accurate?! See if you were honest from the get go & NOT try to deliberately misinform the public, you would not be doing this Apple. Not all people are as stupid or i$heepish as you think! Not everyone read the expiry date on products nor bother to read what's on the box due to xcitment, so if apple advertisd this as LTE+4G, they kno how apple fans think, so they knew what they were doing, and they know no one will return the device. And now acting all cool n caring, nice marketing strategy. Now it all makes sense. This is opinion and im entitled to it, so don't hate, unless if i stroke a nerve, lol Apple is Disappointing me day by day, its quite embarrassing.